Posted in: Birds & butterflies, Flowers and gardens. 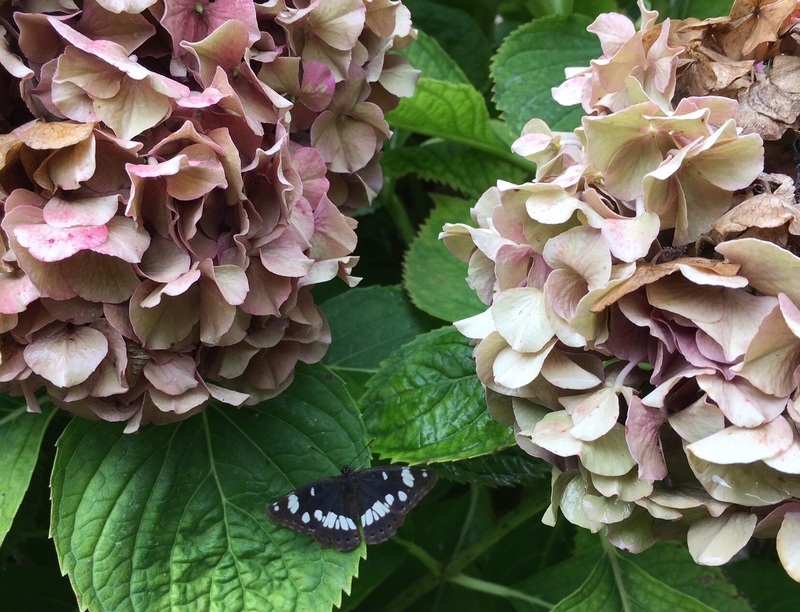 Tagged: butterflies in the Loire. My pink Hydrangea in a tub has been ‘iffy’ this year. Probably too much of the wrong feed (leaves fine, few blooms) and the stuff that tries to turn it blue! Better luck next year.